Time to get your car serviced? Find a quality car service store using our customer satisfaction ratings. The results are in, and for the third year in a row, we can announce Oil Changers has rated five stars in overall customer satisfaction. The modern car has become central in our day to day lives; whether it’s for work, school or for fun, we count on our vehicles to get us from point A to B safely. That’s why we need to take good care of them. There are numerous things to consider when it comes to how often you need to have your car serviced. Manufacturers will have their own specific guidelines to follow, but generally speaking you should try to get your car serviced annually, or every 20,000 kilometres (whichever comes first), depending, of course, on the age and model of your vehicle. For some, servicing their car every year seems unnecessarily zealous. In fact, according to our survey of motorists, 41% will put off getting their car serviced to save money. On the other hand, a whopping 87% believe that regular servicing will save you money in the long-run because it can prolong the life of vital car parts, which can cost a small fortune to replace. 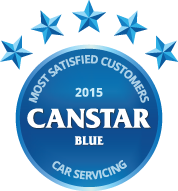 At Canstar Blue, we understand that your car is precious, so you’ll need a quality service store whose knowledge you can trust. Each year, we ask New Zealanders to rate the servicing chain they recently used across a range of research categories. The results are in, and for the third year in a row, we can announce Oil Changers has rated five stars in overall customer satisfaction, earning our Most Satisfied Customers Award – Car Servicing, 2015. Servicing is particularly important for the many of us who are not mechanically minded. Interestingly, 42% of those surveyed admitted they have no idea if their car actually needed the repairs they paid for. Further, 63% say they had to pay for additional repairs they were not expecting. This lack of mechanical know-how poses a risk: that some unscrupulous mechanics could charge you for work your car didn’t even need. No wonder then, that 77% of Kiwis are wary of being ripped off when they take their car for a service. Don’t be afraid to question your mechanic if you’re unsure about their recommendations. If you haven’t experienced any problems with your car previously, ask them to show you the problem, or perhaps seek a second opinion if you have concerns. Once you find a mechanic you can trust, there is a good chance they’ll have a customer for life. We found 66% of Kiwis return to the same service provider or mechanic every time. How much are we spending on servicing? What are we looking for in a car service? Despite its name, Oil Changers does a lot more than just change oil and offer a wide range of services from engine flushes to filtration checks. Its full service includes visual inspections of problem areas, as well as top ups of essential vehicle fluids. Oil Changers also offers free check-ups and will top-up 500mls of oil and some fluids on cars that display their company sticker. You can get a full service from as little as $74.95. Midas offers a range of servicing packages ranging in price from $139.95 to $209.95. Some services include top-ups of oils and coolants, an engine diagnostic scan and a “multi-point visual inspection”. As well as these services, Midas can also carry out general repairs. Pitstop says it’s New Zealand’s largest change of automotive service stores, with more than 50 outlets nationwide. Service prices begin from $139 for its most basic package, up to $289 for its “elite” package. Additionally, Pitstop offers free safety checks and operate in general repairs. AA Auto Service & Repair currently offers 10 service packages. For standard non-European cars, prices begin with the bronze service at $169, up to $289 for the platinum service. Prices for diesel and European cars are slightly higher, however AA Auto Service & Repair offers discounts to its members.